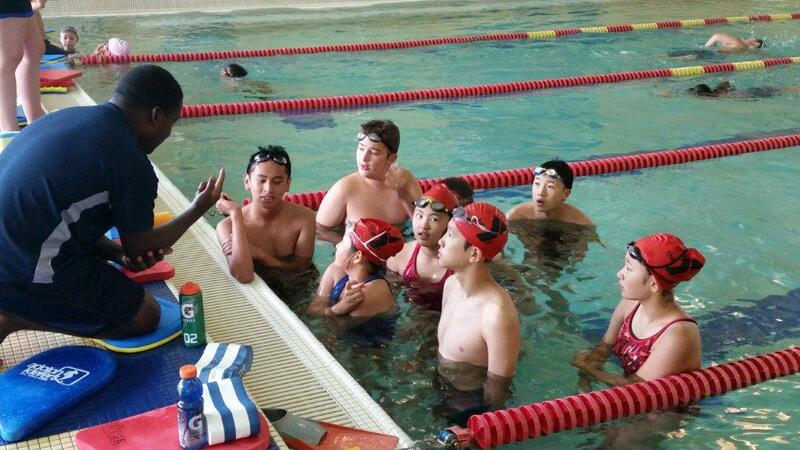 Team Fees –Each swimmer must pay program fees to be on the swim team. These fees will cover the cost of coaches and pool related expenses. Please be aware that you are responsible for the entire fee, regardless of your child(ren)’s participation in the program. Drop and collect your swimmer(s) to and from swim practices/meets on time. For more information please email Coach Michaella at barracudas@annarborymca.org. Build strength, stamina and spirit as we perfect our strokes as a team. Through the Y’s swimming programs, kids have the opportunity to make friends, get active and discover what they can achieve. The goal of the Barracudas Swim Club is to create a strong team spirit, foster personal growth and improve each participant’s swimming skills. We will offer 3 separate practice options. This will allow swimmers to practice with others of their age and abilities. The practice options will be: •Bronze: For children ages 4-7years old who have mastered Preschool Stage 4 skills and are considering beginning the Barracudas Swim team. Swimmers must be able to swim 25 yards without stopping. Coach approval required-Please email Coach Michaella barracudas@annarborymca.org. •Silver: For children ages 6-17 years old who have PASSED the Minnow level or above. Swimmers must be able to swim 50 yards non-stop and have a minimum knowledge of freestyle and backstroke. •Gold: For children ages 6-17 years old who have passed the Youth Stage 5 level OR have completed 1 full year of swimming for the Barracudas Swim Team. Swimmers must know all 4 strokes and be able to swim a minimum of 100 yards non-stop. If your swimmer is struggling with the intensity of swimming in the gold level a coach may ask that your swimmer be moved to the silver practice time. Swim placements available- Contact Coach Michaella to schedule a swim test if you are unsure which practice to register for.